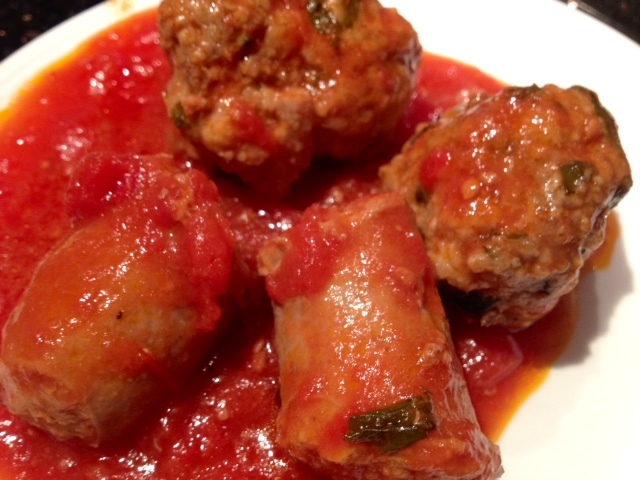 This is a very simple dish that is fast and easy to make. 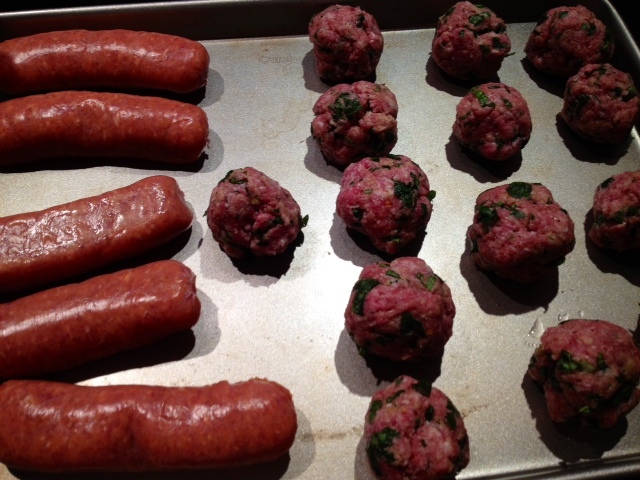 I used both ground pork and beef to make the meatballs along with hot Italian turkey sausage. 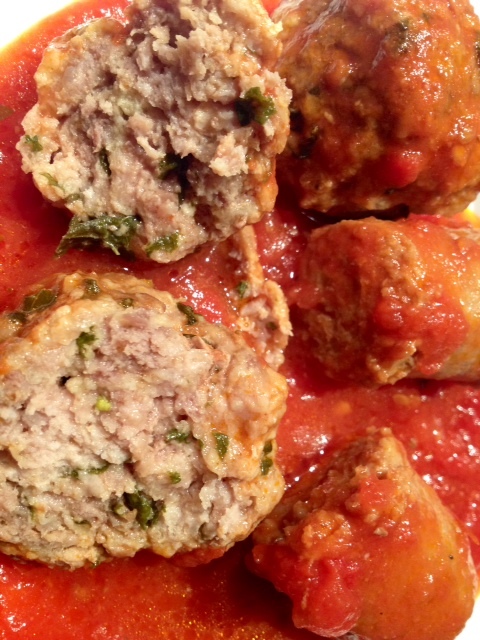 The meat in this dish is cooked in the tomatoes which adds the bulk of the flavor to the sauce. Of course, you can put this over pasta, but the sauce and meat is so flavorful that you can eat it on its own and won’t even miss it. Best of all, you can make a pot of this and eat the leftovers for days without any fuss! Put your canned tomatoes into a large pot on the stove on medium heat with the lid on. 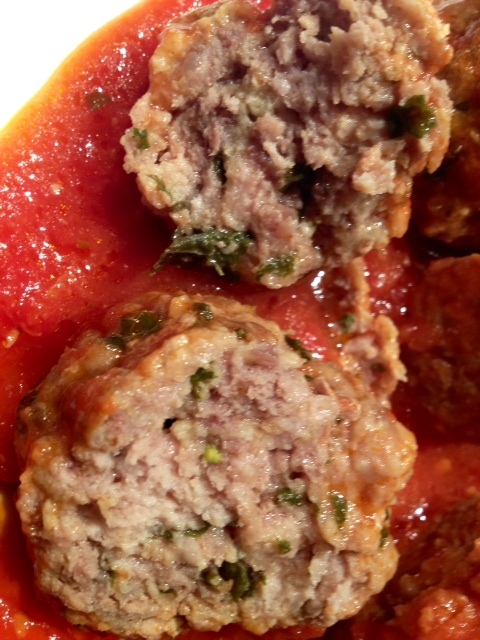 In a large mixing bowl, add the ground meat, chopped basil, bread crumbs, parmesan, egg, garlic salt and hot red pepper. Mix well and form into small balls using the palms of your hand. Put these onto a non-stick baking sheet along with the turkey sausage. Cook in a 350 degree oven for about 15 minutes just to lightly brown the meat. The tomatoes should be hot and bubbling at this point. 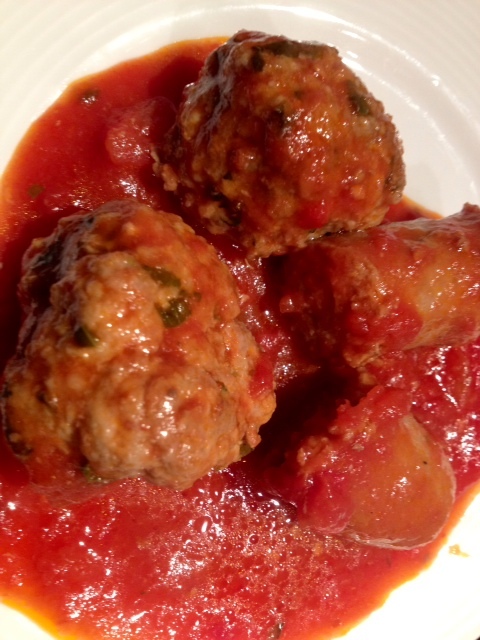 Take the meatballs from the oven and place it into the large pot with the tomatoes. 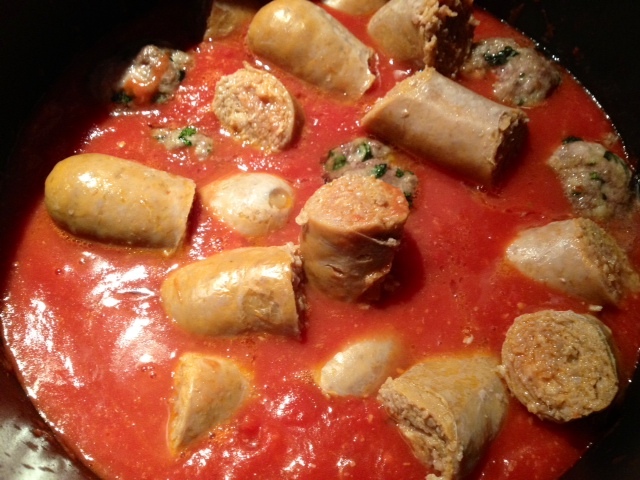 Cut the sausage into smaller pieces and put those into the pot as well. Allow the meat to continue cooking in the sauce for about 45 minutes-1 hour. Season the tomatoes with crushed red pepper, a generous dash of garlic salt and the remaining 1/4 cup of parmesan cheese.